The Great Schism between the Eastern and the Western Church (1054) was the culmination of a gradual process of estrangement between the east and west that began in the first centuries of the Christian Era and continued through the Middle Ages. Linguistic and cultural differences, as well as political events, contributed to the estrangement. 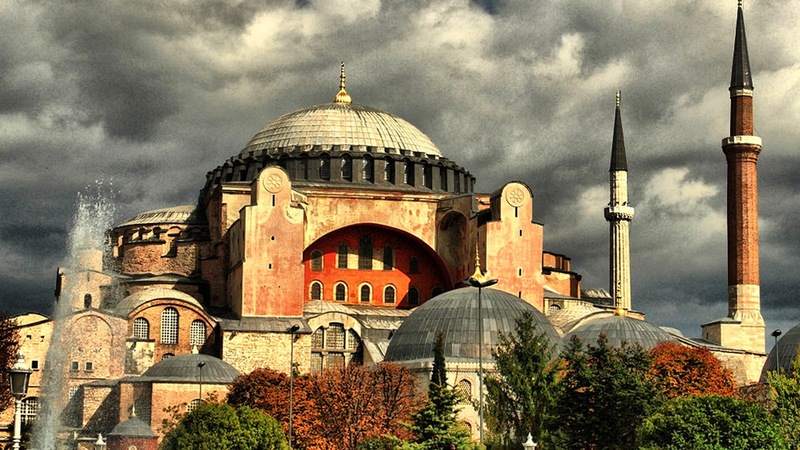 From the 4th to the 11th century, Constantinople, the center of Eastern Christianity, was also the capital of the Eastern Roman, or Byzantine, Empire, while Rome, after the barbarian invasions, fell under the influence of the Holy Roman Empire of the West, a political rival. In the West theology remained under the influence of St. Augustine of Hippo (354-430) and gradually lost its immediate contact with the rich theological tradition of the Christian East. In the same time the Roman See was almost completely overtaken by Franks. Theological differences could have probably been settled if there were not two different concepts of church authority. The growth of Roman primacy, based on the concept of the apostolic origin of the Church of Rome which claimed not only titular but also jurisdictional authority above other churches, was incompatible with the traditional Orthodox ecclesiology. The Eastern Christians considered all churches as sister churches and understood the primacy of the Roman bishop only as primus inter pares among his brother bishops. For the East, the highest authority in settling doctrinal disputes could by no means be the authority of a single Church or a single bishop but an Ecumenical Council of all sister churches. In the course of time the Church of Rome adopted various wrong teachings which were not based in the Tradition and finally proclaimed the teaching of the Pope's infallibility when teaching ex cathedra. This widened the gap even more between the Christian East and West. The Protestant communities which split from Rome in the course of centuries diverged even more from the teaching of the Holy Fathers and the Holy Ecumenical Councils. Due to these serious dogmatic differences the Orthodox Church is not in communion with the Roman Catholic and Protestant communities. More traditional Orthodox theologians do not recognize the ecclesial and salvific character of these Western churches at all, while the more liberal ones accept that the Holy Spirit acts to a certain degree within these communities although they do not possess the fullness of grace and spiritual gifts like the Orthodox Church. Many serious Orthodox theologians are of the opinion that between Orthodoxy and heterodox confessions, especially in the sphere of spiritual experience, the understanding of God and salvation, there exists an ontological difference which cannot be simply ascribed to cultural and intellectual estrangement of the East and West but is a direct consequence of a gradual abandonment of the sacred tradition by heterodox Christians.